Most dentists aim to exceed a patient’s expectations, and good ones do. Of all the expectations a patient might have, the one that is the most standard is the expectation that proper sterilization techniques are used. 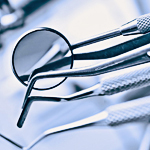 Dentists need to follow proper sterilization procedures for the health and safety of their patients and staff members. Surprisingly, this hasn’t always been the case. In fact, no universal standards for infection control in dentistry existed until the 19th century when Alcock and Lister advocated for disinfection with chemicals. In 1861 Semmelweis advocated hand washing as an important infection control measure. These were major breakthroughs, but the most important advances in infection control occurred when Alexander Fleming discovered penicillin in 1929. This revolutionized the treatment of simple infections, which were commonly fatal. Since then, many antibiotics have been discovered, making death from dental infections a rarity. During the 20th century, sterilization advancements techniques for dental instruments improved and in 1950 Appleton declared that heat is the optimum method for sterilizing dental instruments. In 1985, universal precautions were established that include the use of latex gloves and improved management of infectious waste and sharps. In 1989, the Centers for Disease Control (CDC) began recommending that all handpieces that could not be autoclaved to withstand heat be replaced with ones that could. This changed the engineering and design of dental handpieces, most of which now bear a symbol stating that they are able to withstand heat sterilization. In the October 2009 issue of Inside Dentistry Michael Abernathy, DDS, shares the results of a survey indicating what factors are most important to patients and how they choose a dentist. Responses from 16,000 patients show that one of those factors is having the highest standard of sterilization and general cleanliness in the office. Patients responded that if the office was visibly well kept from top to bottom, they felt more confident that instruments were being sterilized properly. Cleanliness and proper sterilization techniques are important for the health and safety of patients and staff. Following sterilization procedures, and keeping a clean and tidy office, is not only important, it’s vital for the success of your practice.